Hello and welcome to The Retreat’s blog, where you’ll find short tales of life here; things that happened today – or long, long ago. Fred Smetacek, an ethnic-German Czech, escaped the Nazis after attempting to assassinate Hitler and arrived on Indian shores just before the outbreak of World War II. He lived and worked in Calcutta during the War, where he wooed and won Shaheda Ahad, a descendant of Tipu Sultan and of the Mughals. More on that later. 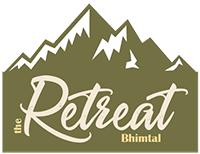 The Retreat at Bhimtal is a charming family-owned 19th-century colonial bungalow nestled among the Himalayan foothills of the Kumaon Lake District, Uttarakhand, India.